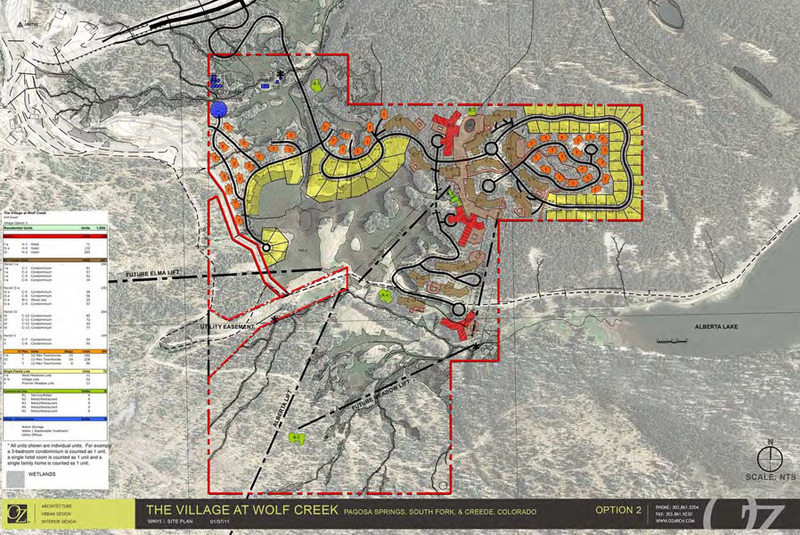 There are two alternative developments that could occur at Wolf Creek: the land exchange development (see Map 1) or a development on the original private land (see Map 2). 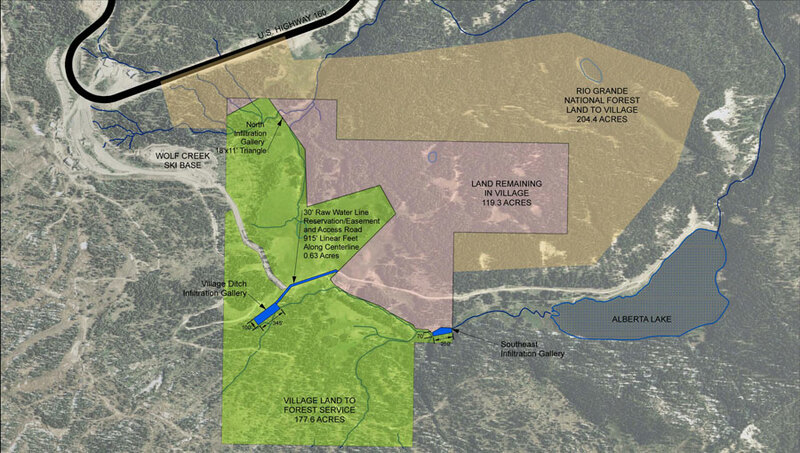 The land exchange development location (see Map B) would be tucked into the forest closer to Highway 160 and away from the ski slopes and the wetlands. This mixed-use development proposes 1,711 units at full buildout, consisting of boutique hotels, condominiums, chalets, cabins, and yurts. Whether this development occurs depends on the outcome of our pending appeal in the Tenth Circuit Court of Appeals. If we prevail, this is the development we intend to commence. Should we not prevail on appeal, we will turn our attention to a development on the private land we have owned since the late 80’s. 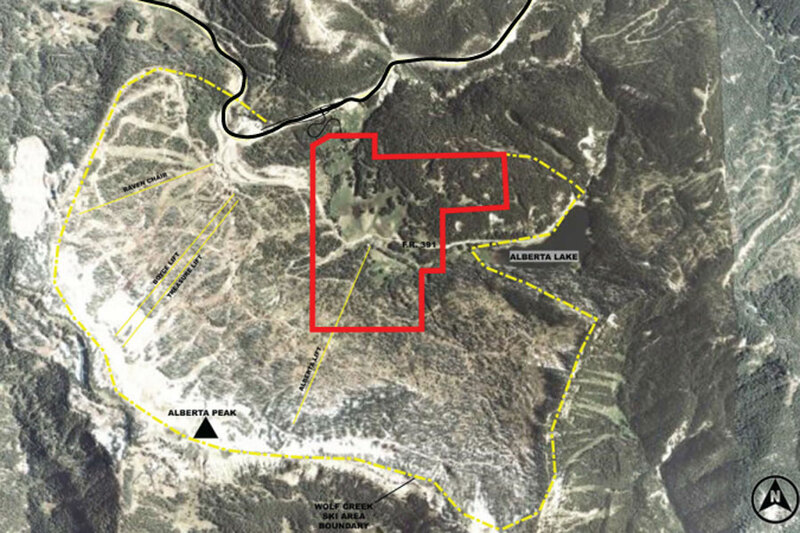 The development on our original private land location (see Map C) requires road access. Fortunately, there is a federal statute that mandates that the government provide to us adequate access for the reasonable use of our land. This new road connecting us to Highway 160 would be through an easement granted to us by the government. Earlier this year, while our appeal of the land exchange was pending, we submitted a letter to the Forest Service requesting our federally-mandated road access. In July, the Forest Service issued a draft “Record of Decision” in which it stated that it intends to provide to us the road we requested should the land exchange not be approved by the Court of Appeals or if we simply abandon the land exchange. At present, the Forest Service has invited those who provided prior comments to their draft Environmental Impact Statement that was issued in 2012 to raise any objections to their decision to grant us our statutory road. They have also invited others to weigh in with any comments they might have regarding the road access. After those objections and comments are provided, the Forest Service will weigh those opinions against their obligation to provide us road access and will issue a final Record of Decision. We anticipate that in this final Record of Decision, the Forest Service will uphold its Congressionally-mandated obligation and will grant us our necessary road to proceed with our development. We also anticipate that those billionaire-funded opponents from outside of the tri-County region will again file suit against the Forest Service challenging its latest decision. They already challenged the more environmentally friendly decision by the Forest Service to grant the land exchange, so it is hard to imagine they will not challenge this decision. Regardless, unlike the land exchange which was discretionary, granting us road access under the statute is not discretionary. Once we obtain our road access, we will proceed with a development that is anticipated to still be smaller than the original planned development that was proposed in 1987. This also will be a mixed-use development of boutique hotels, condominiums, chalets and cabins. 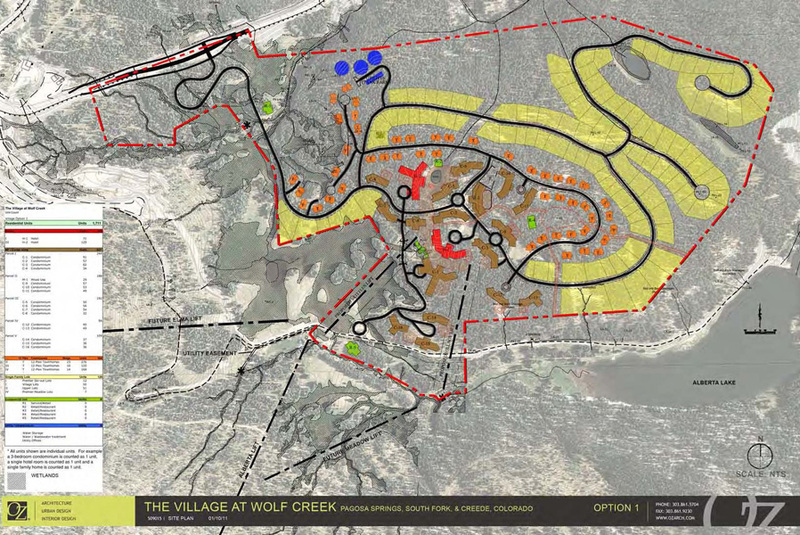 A large portion of the development will still be on land we own within the forested area similar to the land exchange, but a portion of the development will be in areas closer to the ski slopes. 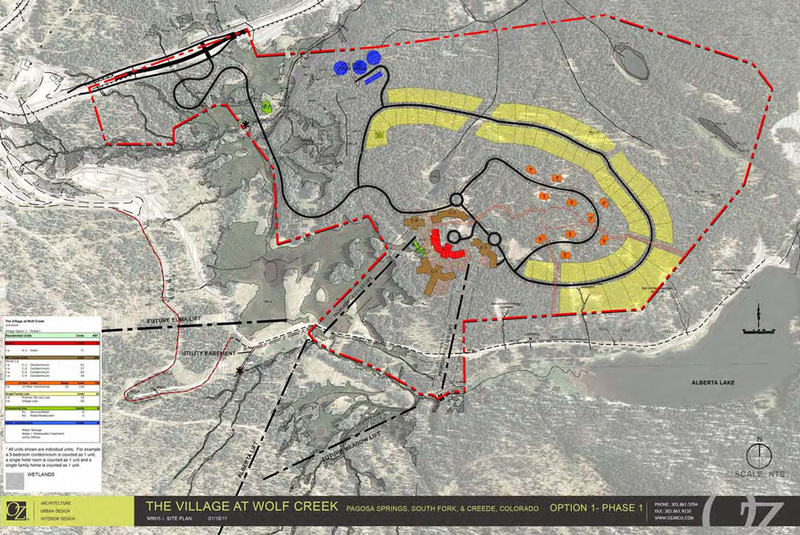 We still are optimistic about the appeal of the land exchange, but whichever development of the two we end up with, it will be compatible with the experience at Wolf Creek and will bring great economic benefits to the communities that surround it.